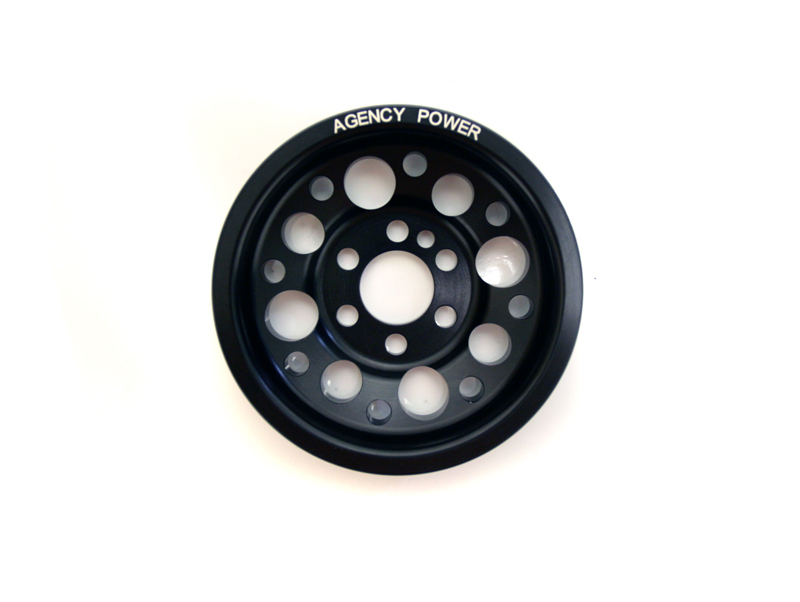 The all new Agency Power lightweight crank pulley for your Audi or Volkswagen motor is now available. 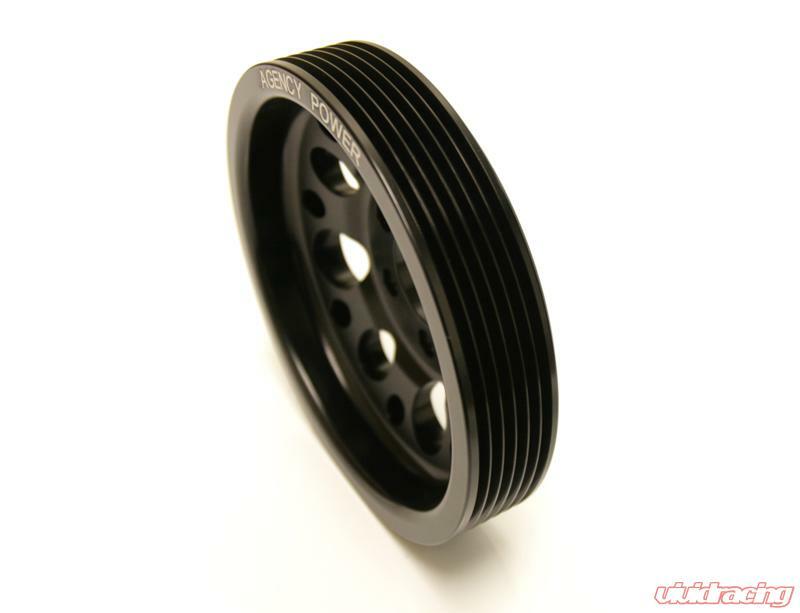 This pulley fits all 2004-2009 Audi models with the 2.0L TFSI engine, including 2005-2009 Volkswagen Jetta and GTI models. 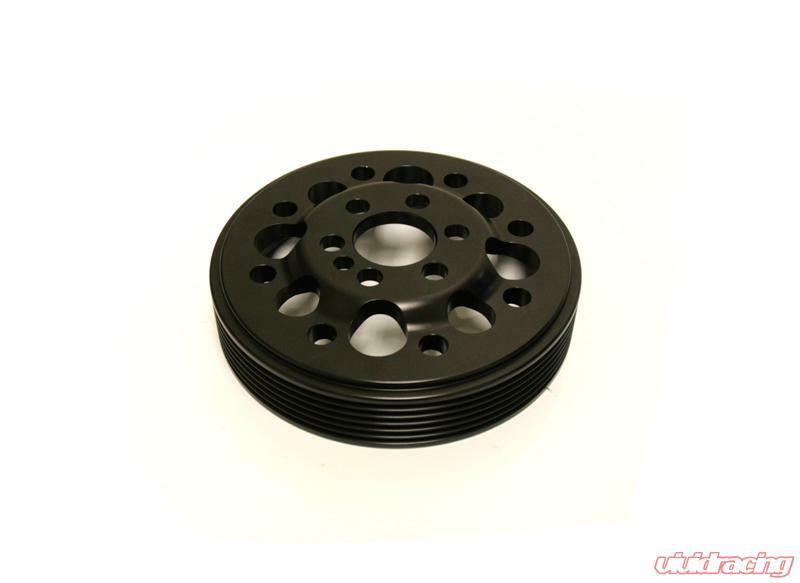 The CNC machined pulley is made from aircraft grade 6061 Aluminum and has a black anodized finish with Agency Power brand etched using a laser. The Agency Power pulley is the same diameter as the stock pulley. Keeping the diameter the same allows no issues to occur with the alternator as under driven pulleys do sometimes. Weighing only 1.0 lb, it is 2.5 lbs lighter than stock. This is also one of the lightest crank pulleys on the market. 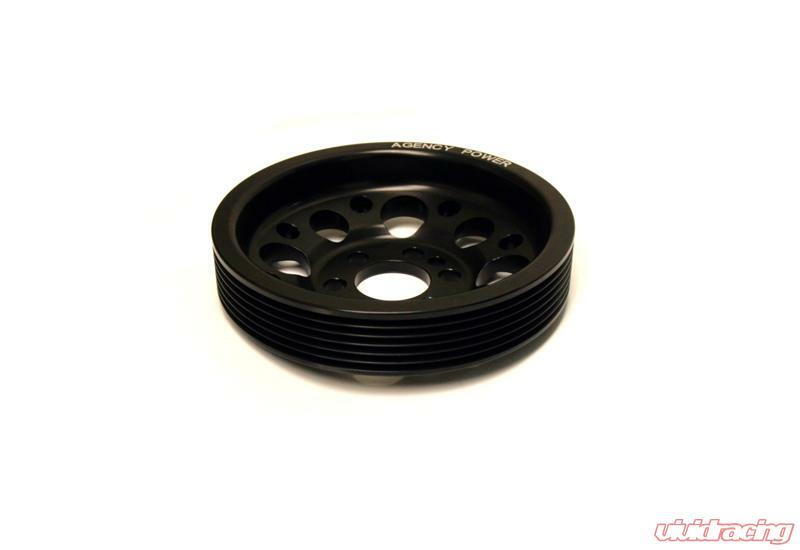 This lightweight pulley gives you quicker throttle response as well as more horsepower and torque. Decreasing rotating mass results in improved performance all while dressing up the engine compartment.